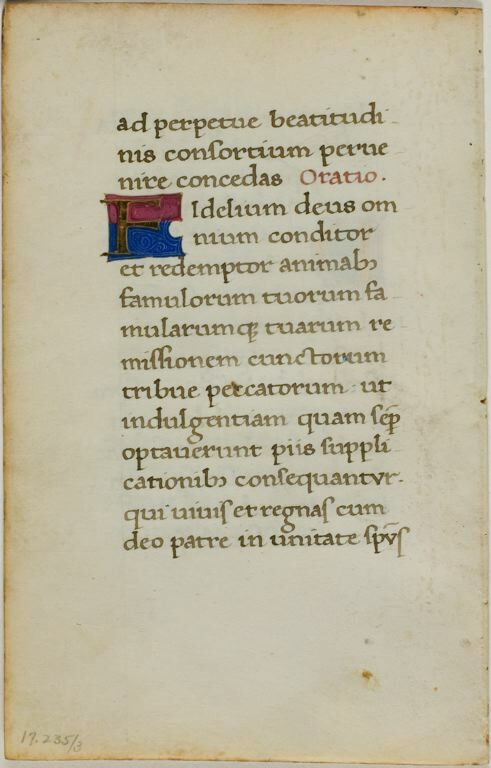 Lots 116–150 were sold as "An Important Collection of Fine Illuminations, The Property of a Gentleman". I recognise some of them from the plates in the catalogue. 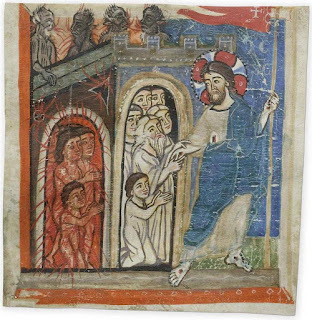 The previous post concerned a small number of illuminated manuscripts recovered from the Nazis and exhibited in Paris in 1946, described in a slim catalogue. 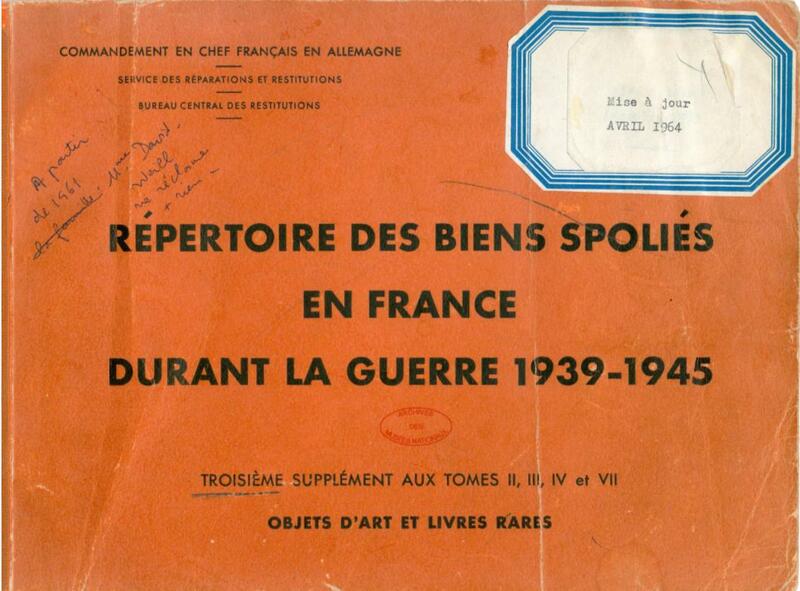 Blogging about it reminded me that I once bought a related but much rarer and much more extensive (and expensive) publication, Le Répertoire des biens spoliés en France durant la guerre 1939-1945, tome VII: Archives, manuscrits et livres rares [Berlin, 1948]. I couldn't really justify the purchase price, so with some regret I sold it soon after at cost to the Art Loss Register, confident that they would make better use of it than me. 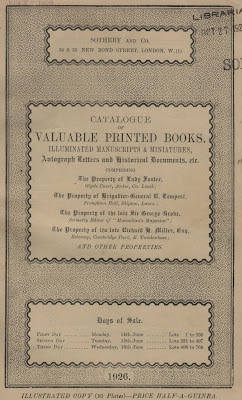 Happily for me, the Répertoire has now been digitized and can be downloaded from here. 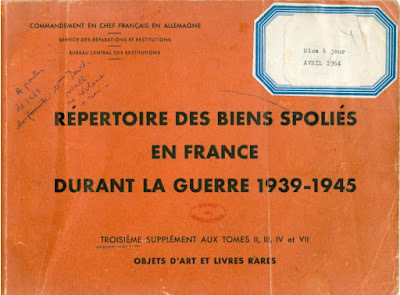 Regular readers will know that I have a particular interest in collections of manuscripts formed and/or dispersed in the first half of the 20th century, including the upheavals of the War years. 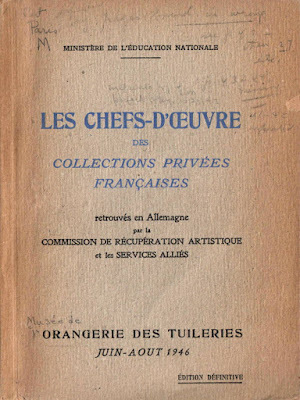 I recently bought and read Christopher de Hamel, The Rothschilds and Their Collections of Illuminated Manuscripts, having previously only read the original French edition, which he kindly gave me on publication. 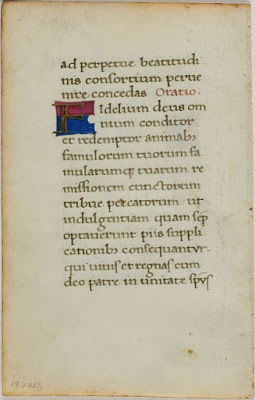 In his 2013 study of Otto Ege's medieval manuscripts (reviewed here), Scott Gwara has discussed an incomplete 15th-century Italian Book of Hours that was apparently his very first, bought in 1911. He has traced 5 single leaves and 11 bifolia in 7 different collections. 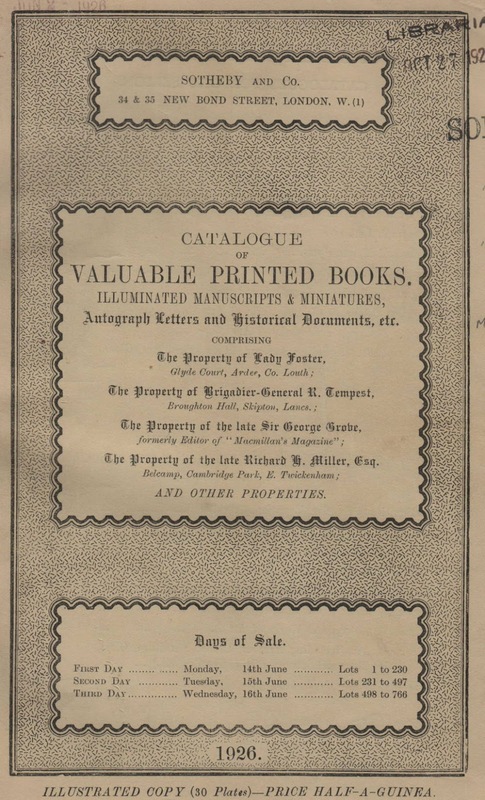 In his infamous article, "I am a Biblioclast", Ege relates how he bought the manuscript for $175, bidding against Rosenbach at a Stan V. Henkels auction in Philadelphia, and how he subsequently "allowed a well-known Chicago collector (who shall be nameless) to tempt him to divide the book with him". 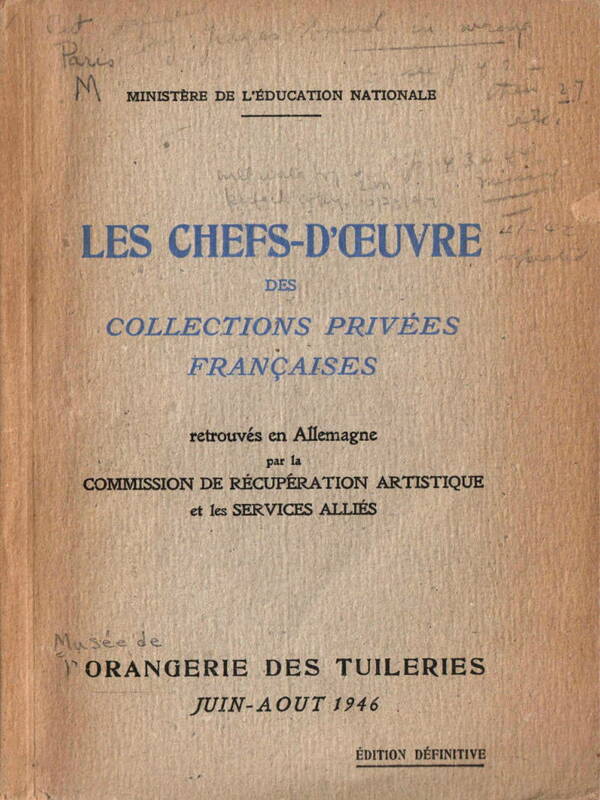 This anonymous Chicago collector is identifiable as Ernst F. Detterer (1888-1947), because at least 28 leaves of the same manuscript were later in his possession, and he knew "Other leaves belong to Otto F. Ege, Cleveland; the ms. was in a Philadelphia sale". 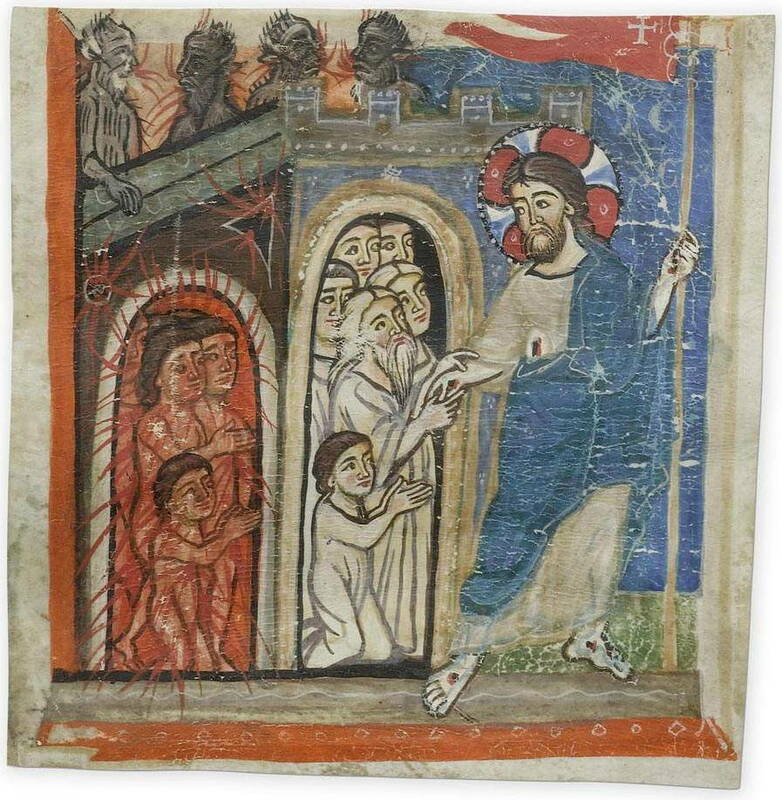 In a previous post I reproduced some of the series of late 13th-century cuttings from a volume of saints' lives, formerly attributed to a Spanish artist in the circle of the Master of the Beatus of San Andrés de Arroyo in La Spezia, but now re-attributed to a Lombard illuminator.